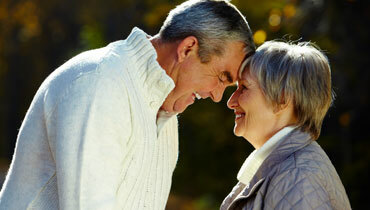 We have an unrivalled range of invisible hearing aids and offer them at unbeatable value. Hearing aid technology has never been more advanced and invisible hearing aids are virtually undetectable when worn. Fitted to be worn deep in the ear canal, they are not only discreet, but comfortable and extremely effective at the same time. Dove Hearing offer completely free hearing tests and an expert consultation to ensure we find the perfect hearing aid for you. An invisible hearing aid from Dove will be specially tailored to fit inside of your ear canal and be made as comfortable as possible. They won't hinder your day to day life and can be worn for extended periods of time. Using a phone or headphones also isn’t an issue as it is placed fully in the ear canal making it virtually invisible to the human eye. Invisible hearing aids are also invulnerable to weather elements such as wind interference. Here at Dove, we stock the very latest invisible hearing aids from world renowned brands including Siemens, Lyric, Oticon, Widex, Resound, Untiron and many many more. Hearing loss is a sensitive issue, but with invisible hearing aids it really doesn’t have to be. You can wear these devices with complete discretion and nobody will know you are wearing one. Dove will guide you through every step from the initial (free!) hearing test right through to the fitting and regular aftercare programme. And, to ensure you are totally happy we offer a full money back guarantee on all purchases. If you would like to know more about our invisible hearing aids then please don’t hesitate to get in touch with us today. Alternatively, you can pop into one our hearing centres based across Staffordshire.